Of all the great JRPGs finally making their way to the Nintendo 3DS, none has more mystery and intrigue than Bravely Default: Flying Fairy. First of all, can a game with such a silly title possibly be any fun? Does its creation confirm that Square Enix is still in the business of creating original JRPGs? Does the American market really want their JRPGs anymore with smaller companies like Atlus and XSEED dominating the genre? Perhaps the biggest question of all is whether or not this game is even coming to America at all. Square Enix has been tight-lipped on any localization efforts, even though the game's producer can't seem to keep in line. He's already hinted at his desire to localize his creation around the world, and he's at it yet again. Taking to Twitter, a member of the team has let it been known that the voices of their foreign audience is being heard. "For the first time in a long time, I accessed Twitter. We hear the voices of our foreign fans loud and clear." The Nintendo DS saw an impressive run of quality JRPGs being brought over to the popular handheld, but in effect, it also saw a handful of not so great ones crawl their ways over as well. I don't think Square Enix and Nintendo are going to let such a high profile game go unreleased. I mean, how often can Square Enix hype a game based on the fact that its an original IP. Doesn't happen too often, and it's one of the many reasons I'm sure that an announcement is just around the corner for this one. 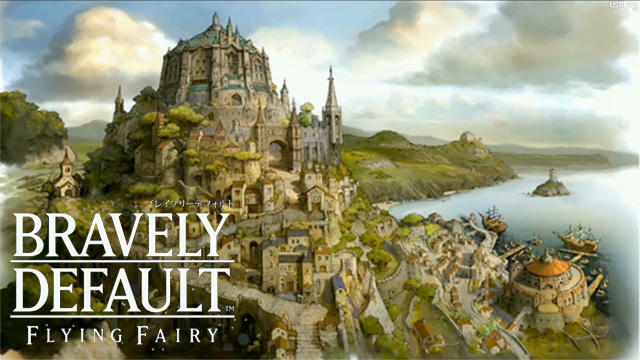 Bravely Default: Flying Fairy was launched to universal praise and broke all of Square Enix's sales expectations. Nothing official yet from Square Enix has been announced regarding an American release.